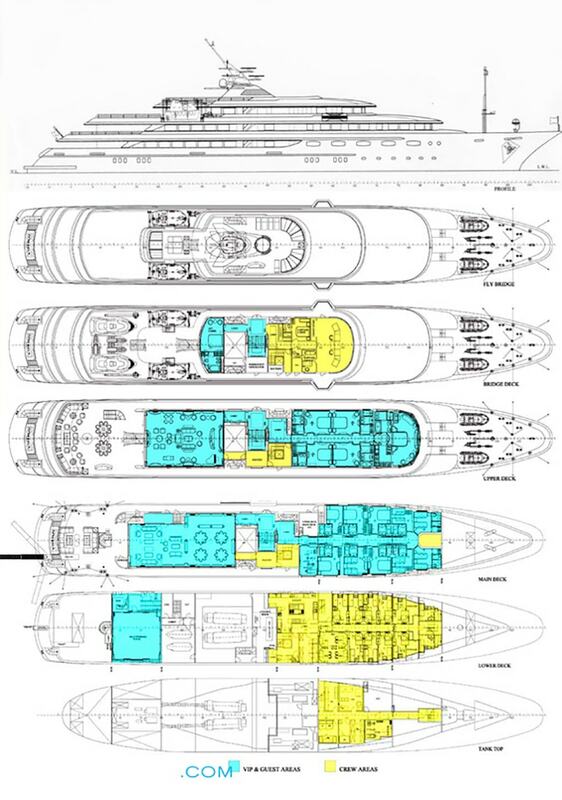 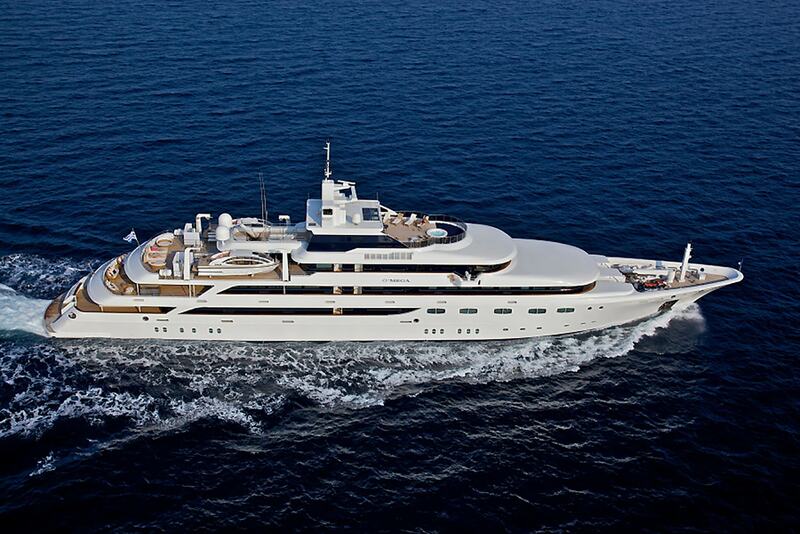 O’MEGA is a 82.50m (270ft) luxury super yacht, built by Mitsubishi Heavy Industies in 1987 and refitted in 2009. 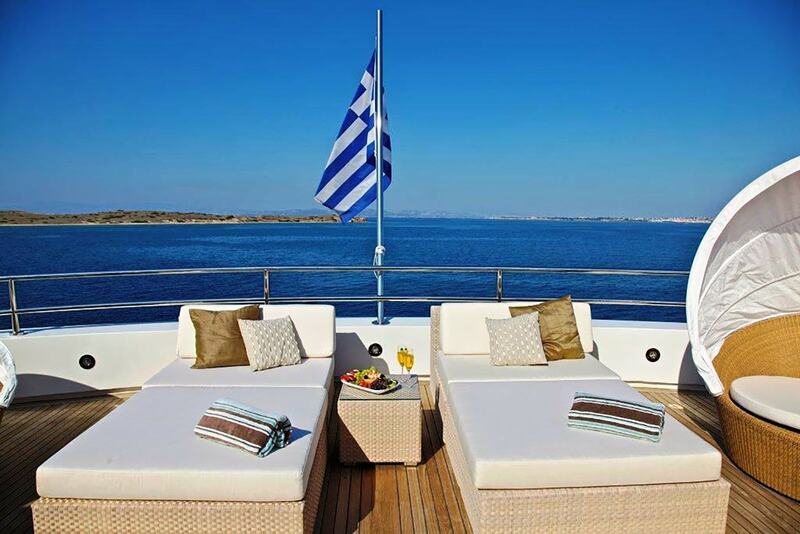 For her beautiful interior design responsible is Giorgio Vafiadis and for her exterior design is Studio Vafiadis. 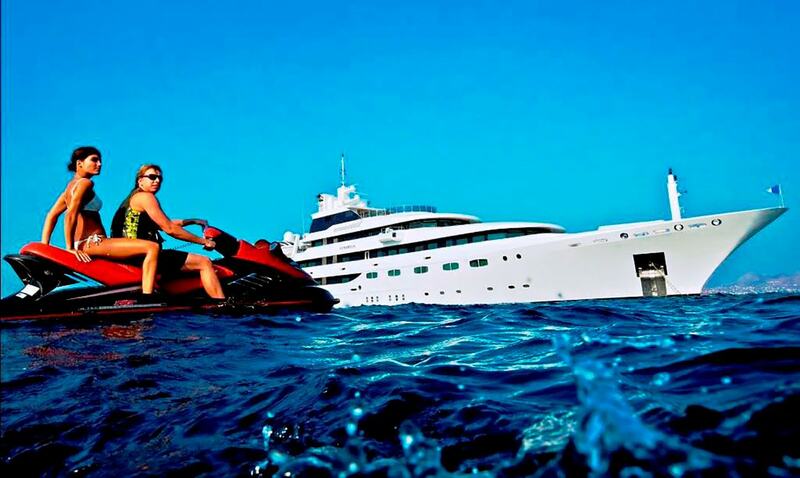 She deserves to be called “Golden Yacht”. 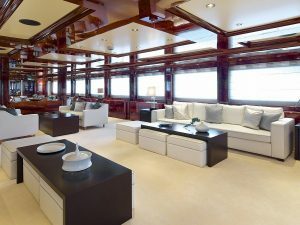 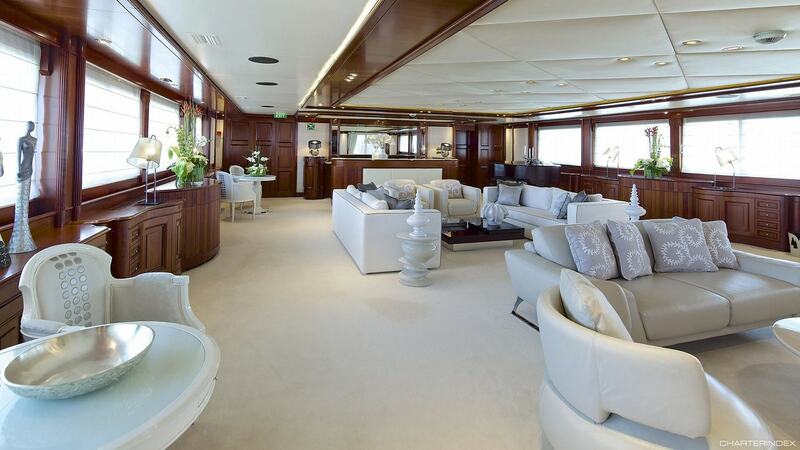 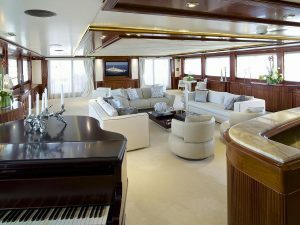 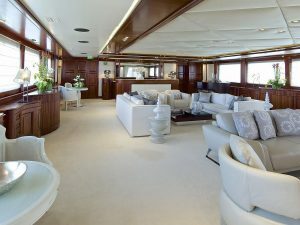 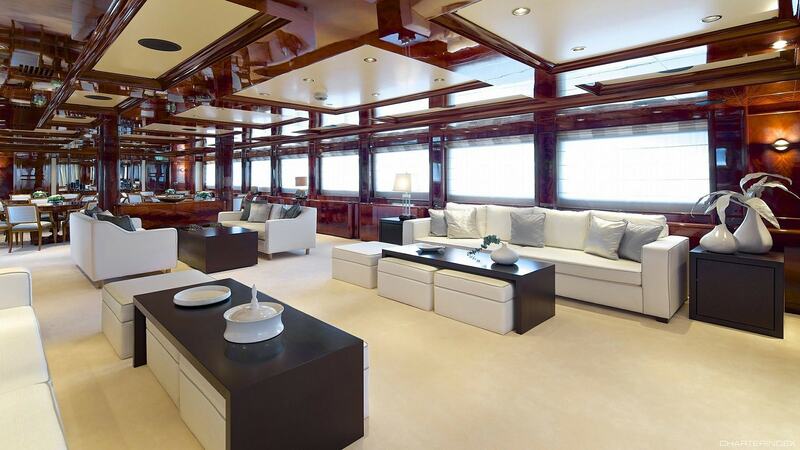 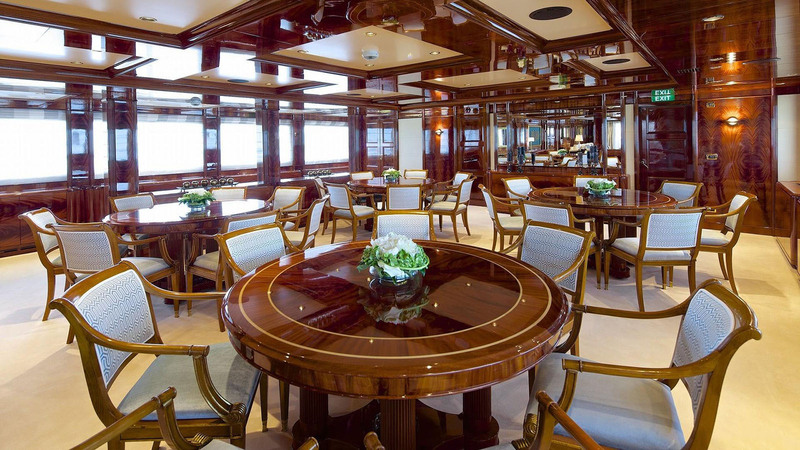 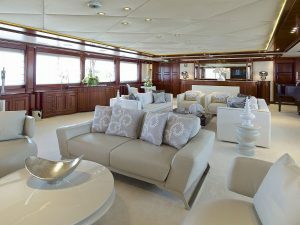 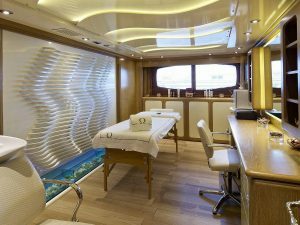 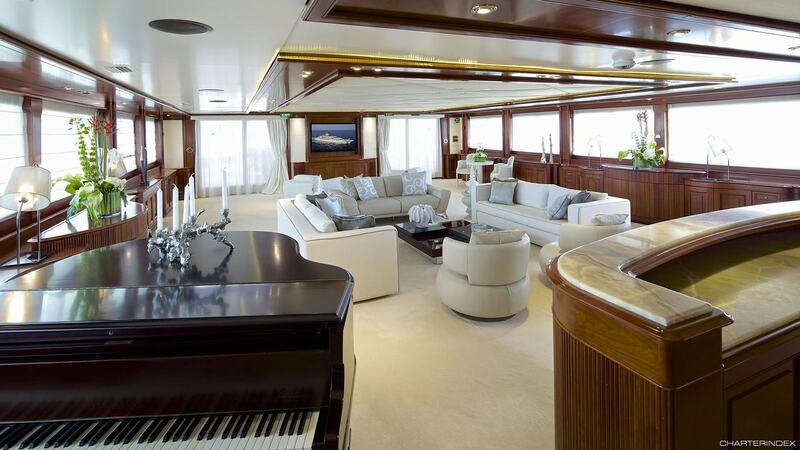 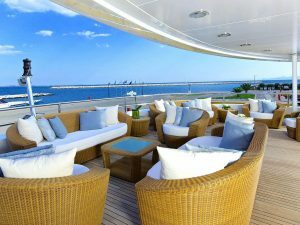 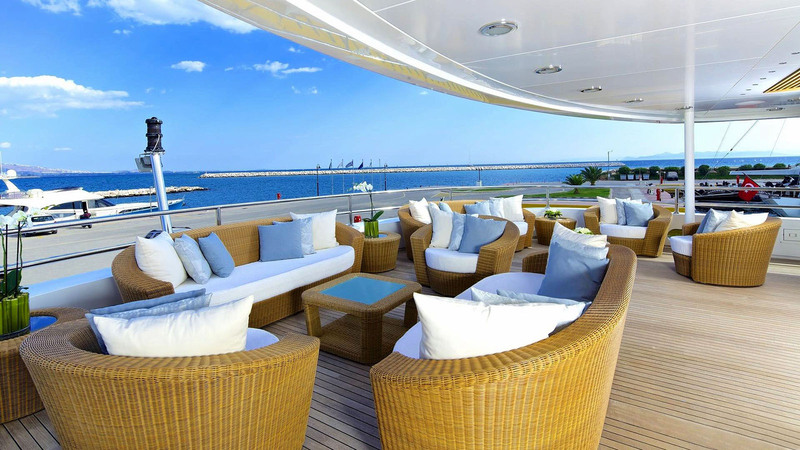 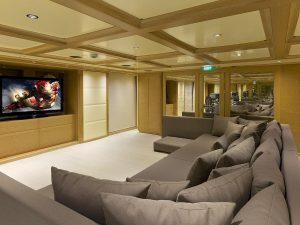 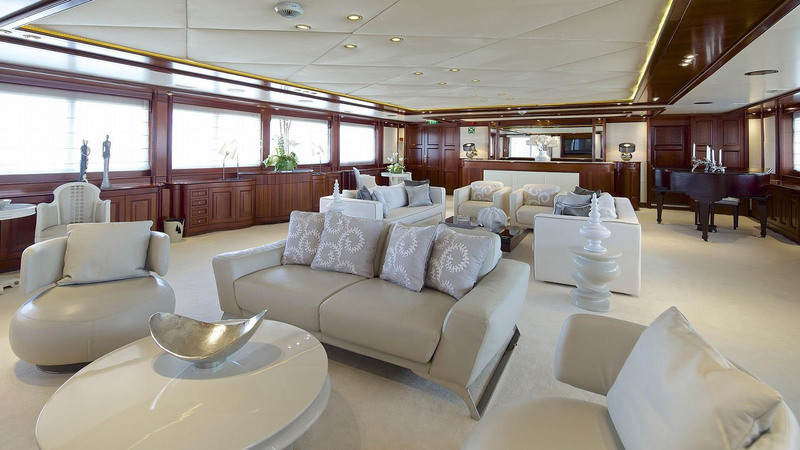 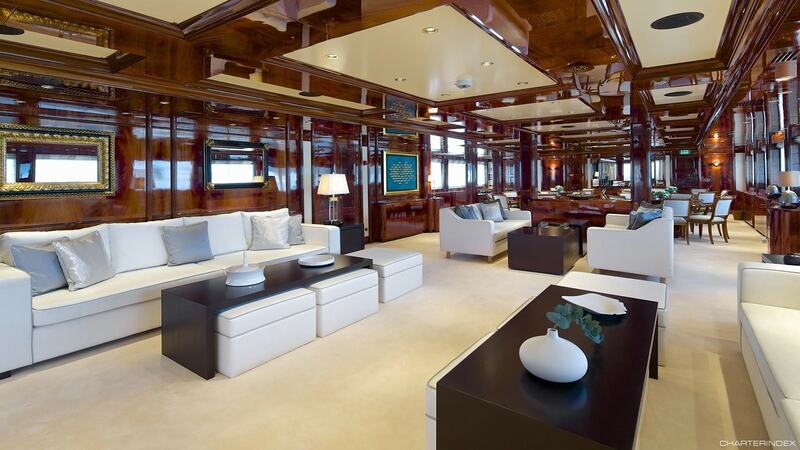 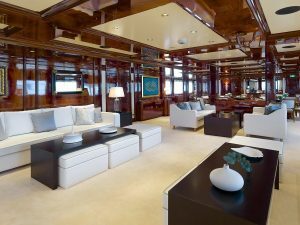 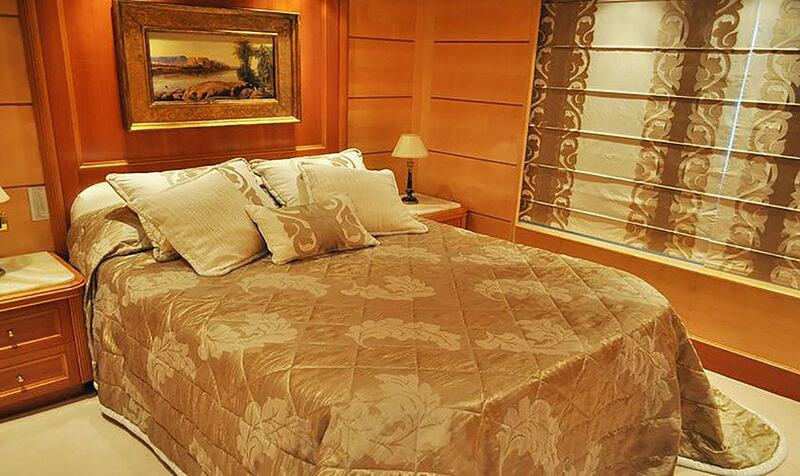 M/Y O’MEGA has classic and modern design which creates a sophisticated, stylish and relaxing atmosphere. 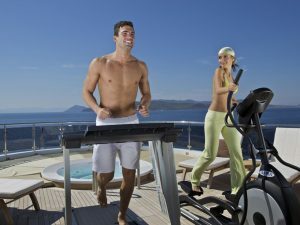 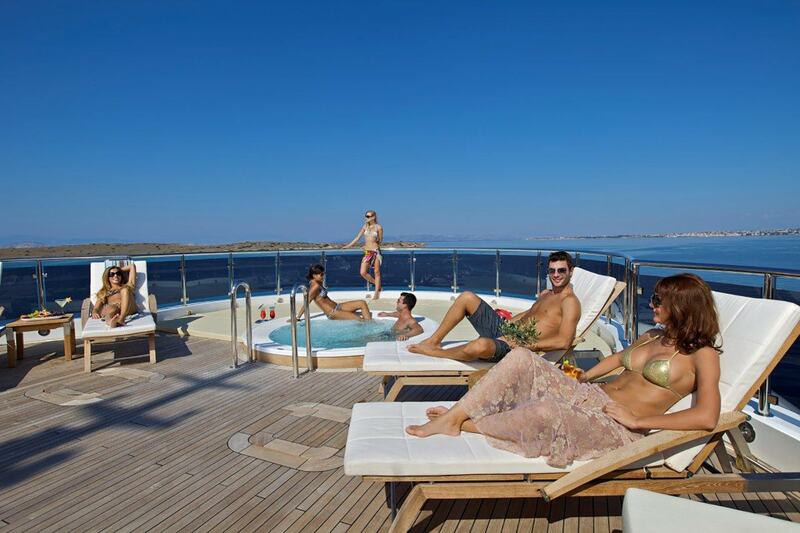 In combiantion with her 4 deck stylish and luxury exterior she guarantees an unforgetable experience. 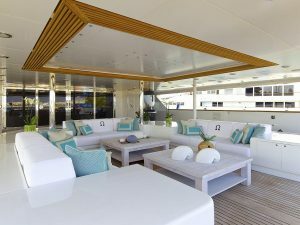 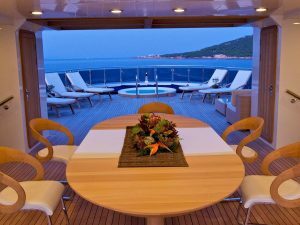 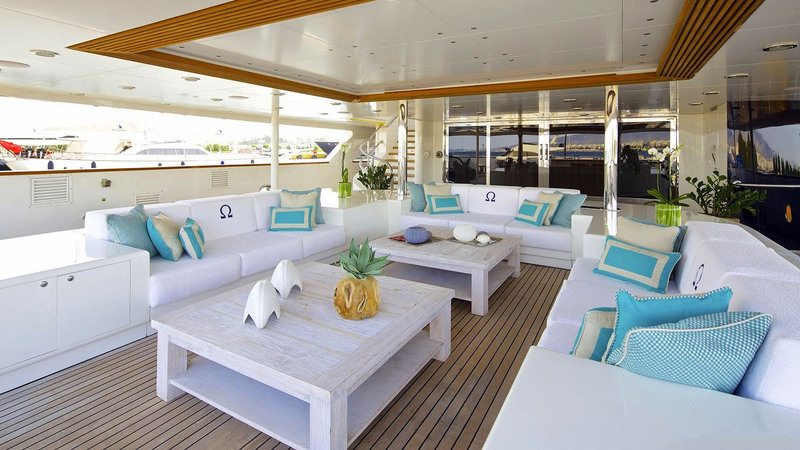 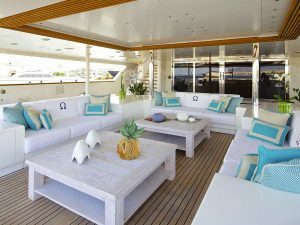 Her generous deck areas host to wide range of amenities including an outdoor bar and ample space for sun lounging and relaxing. 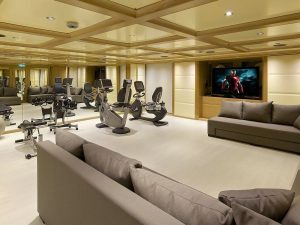 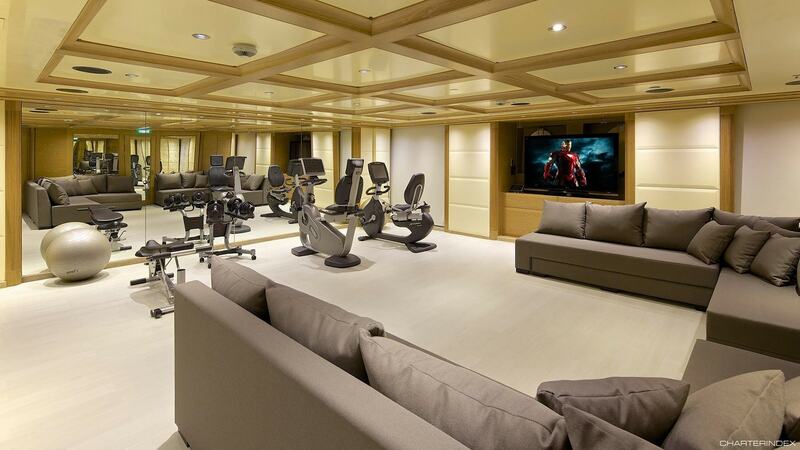 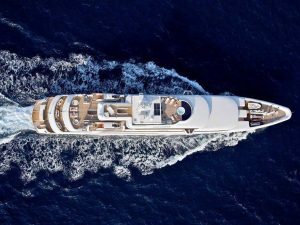 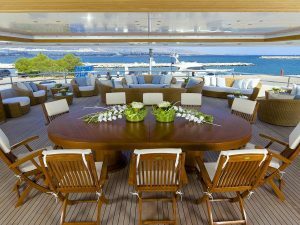 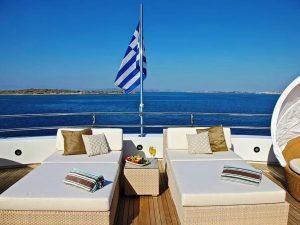 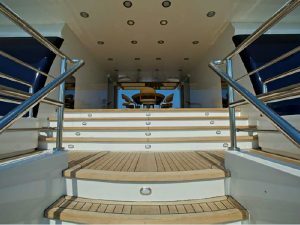 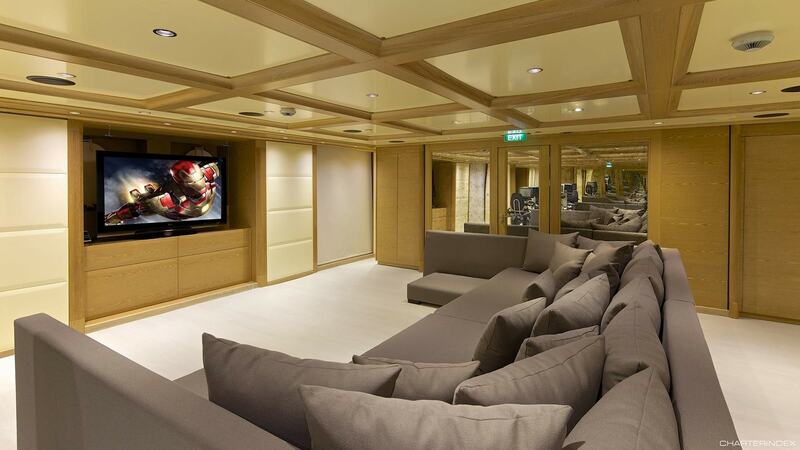 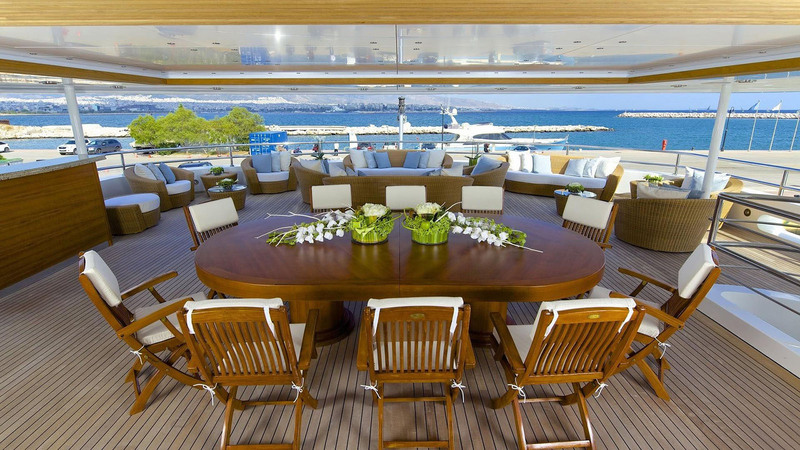 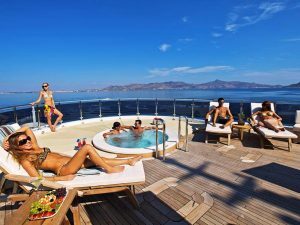 She has impressive leisure and entertainment facilities that make her the ideal charter yacht for socializing and entertaining with family and friends. 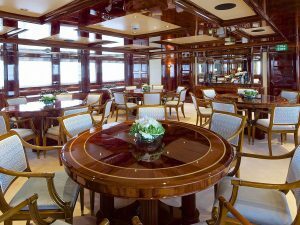 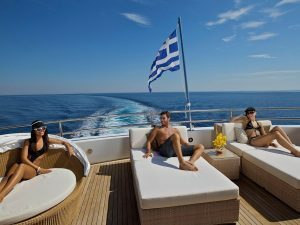 M/Y O’MEGA accomodates up to 30 guests in 15 lavish cabins, including 1 Master, 1 Executive, 4 VIP, 5 Double and 4 Twin cabin. 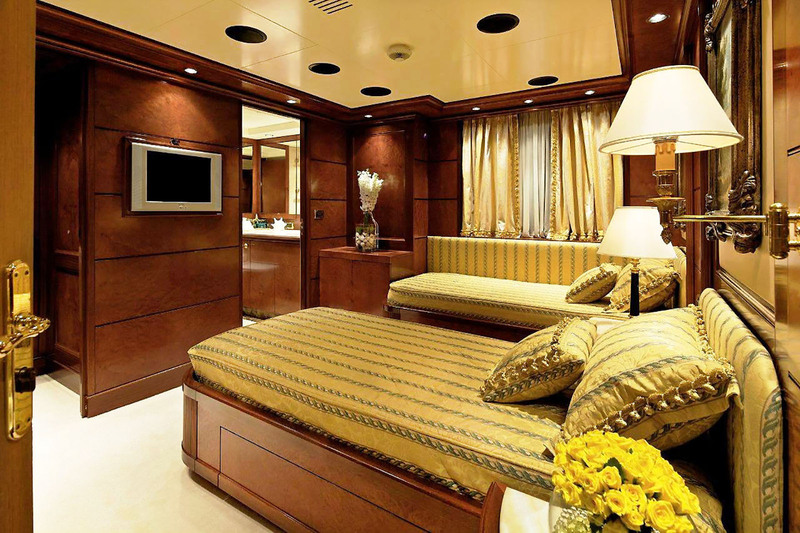 Each cabin differ from the other and has a theme of its own ranging from classical to minimal. 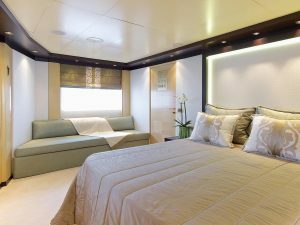 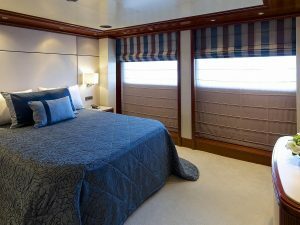 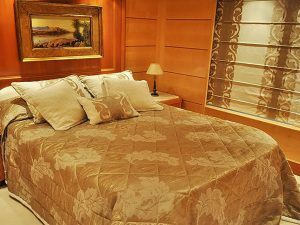 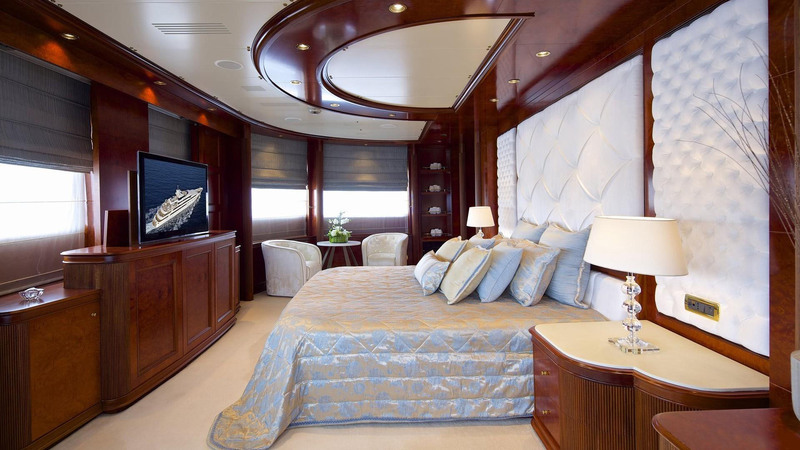 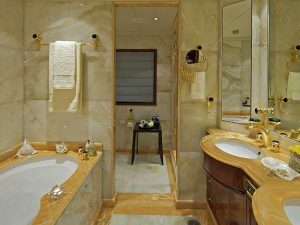 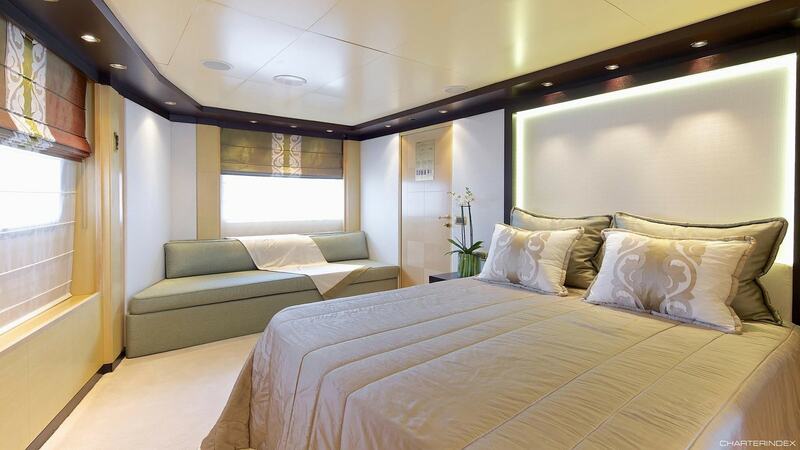 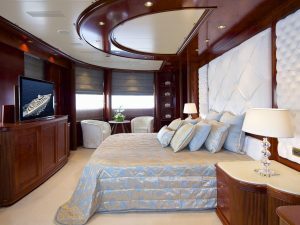 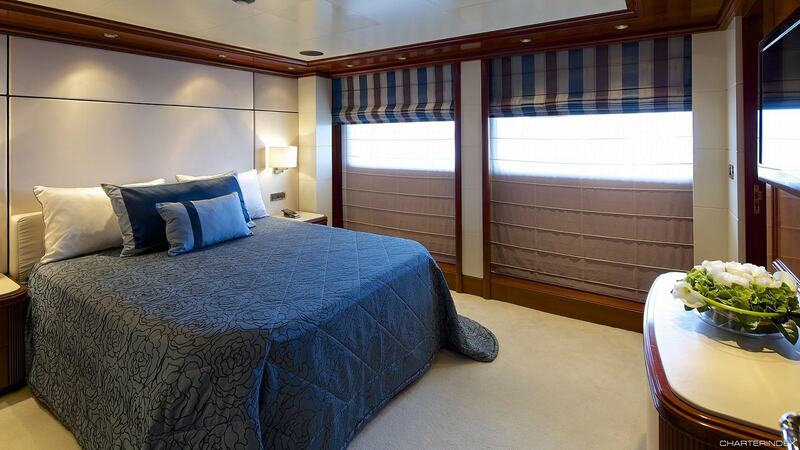 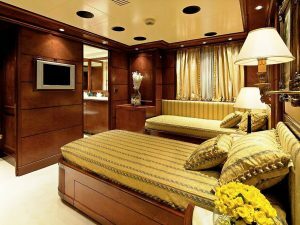 The Master suite has a panoramic view of the sterm of the yacht and offers to her guests a king size bed, en suite office and salon, walk in closet, as well as exquisite bahtroom with a jacuzzi and shower. 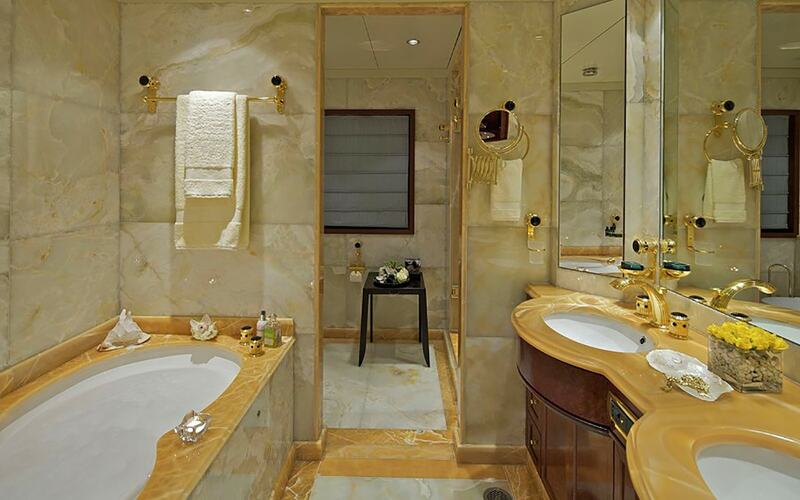 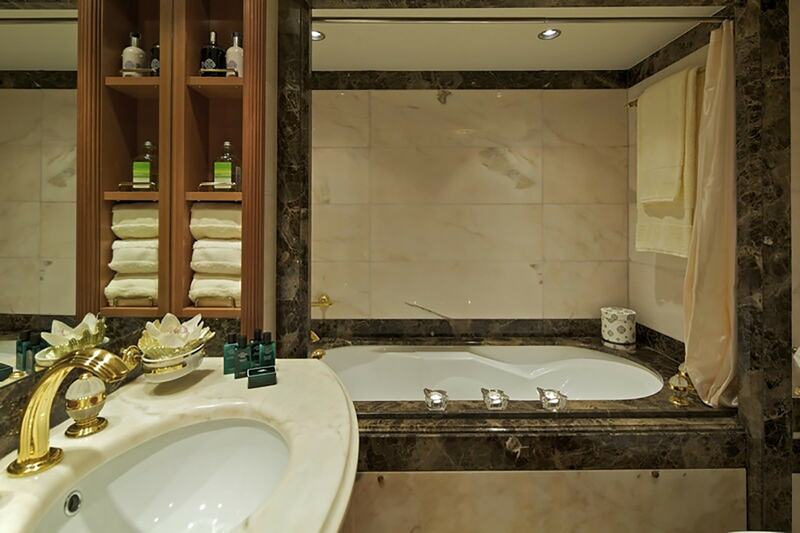 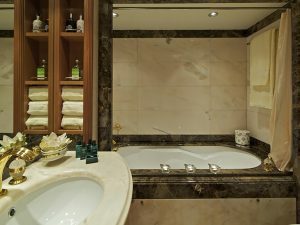 All cabins are with en suite facilities. 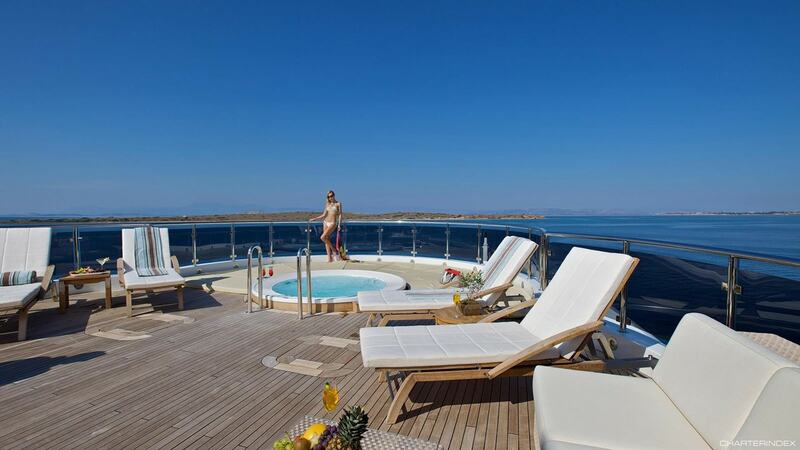 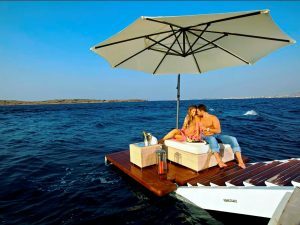 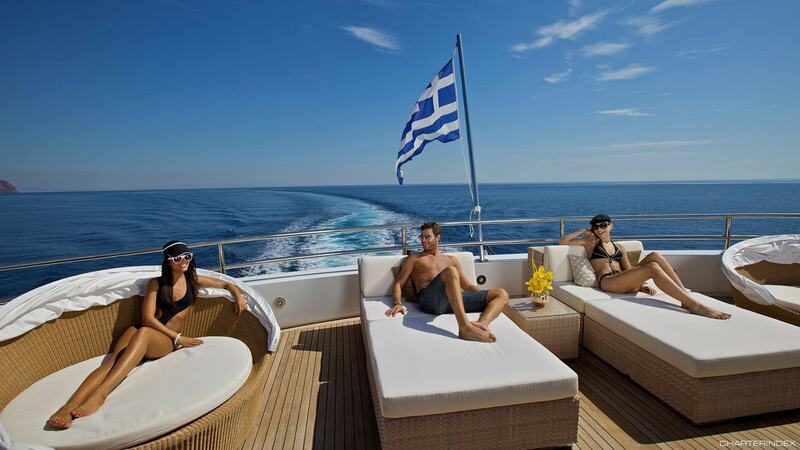 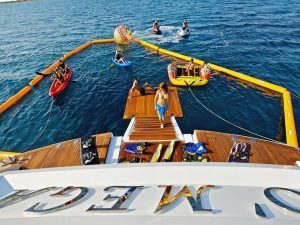 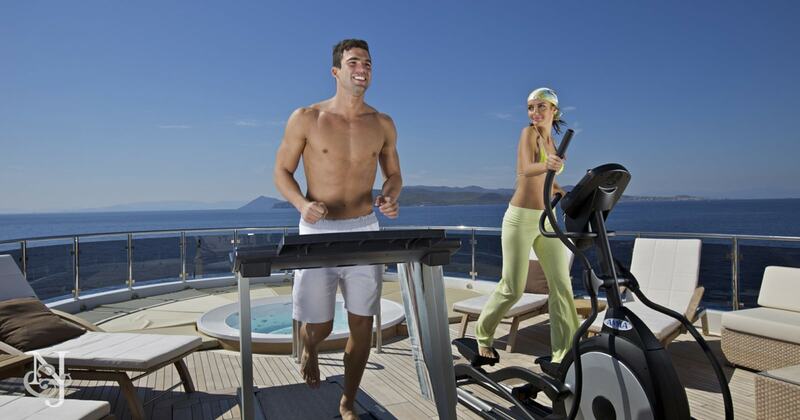 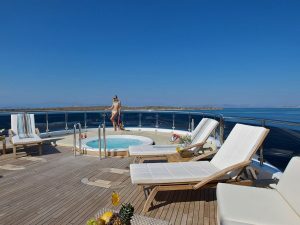 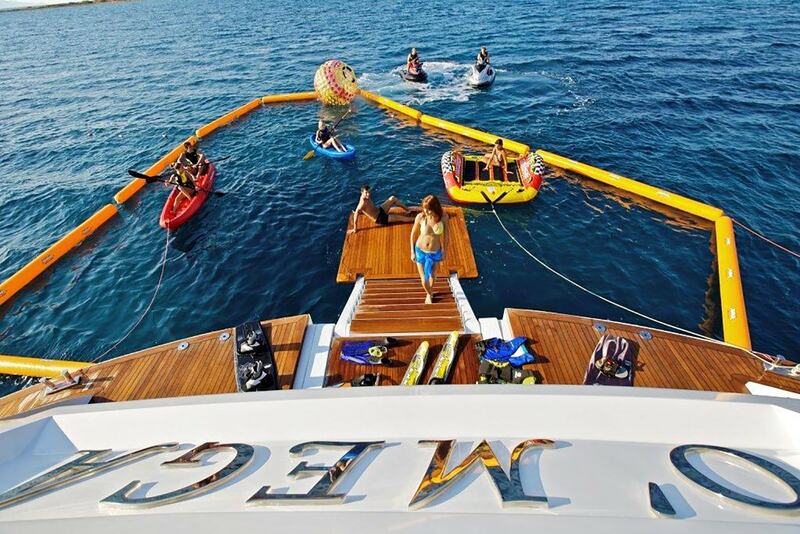 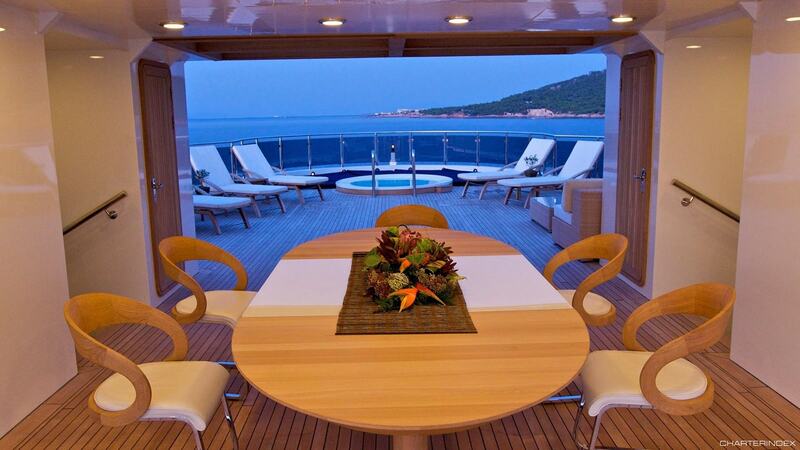 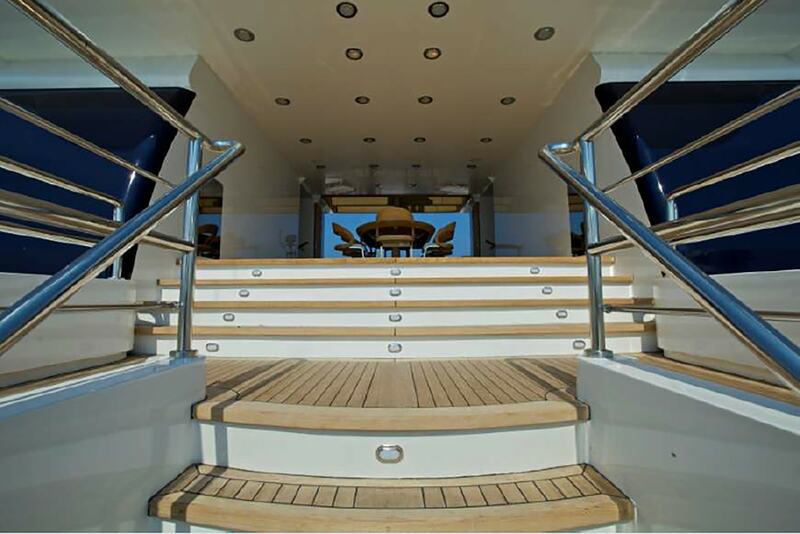 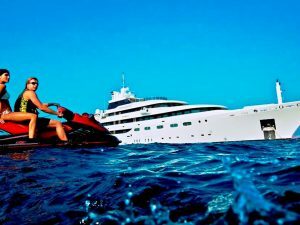 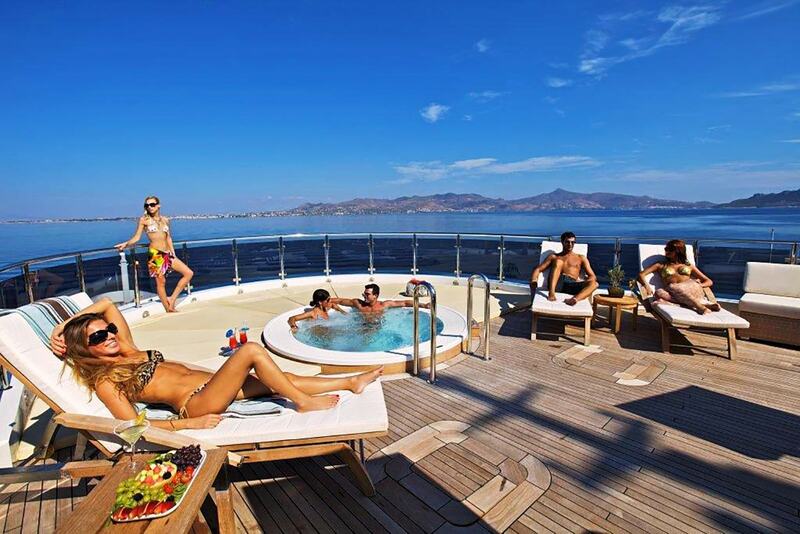 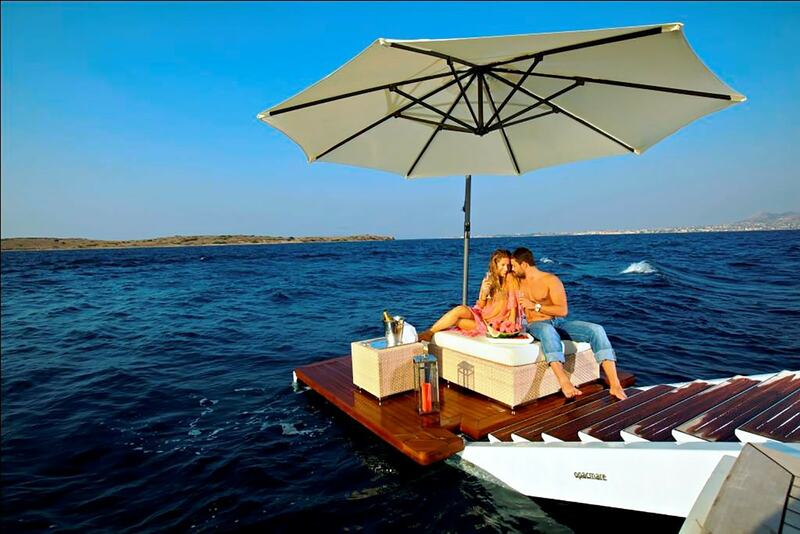 M/Y O’MEGA‘s guests, can enjoy the sea throughout the wide range of water toys. 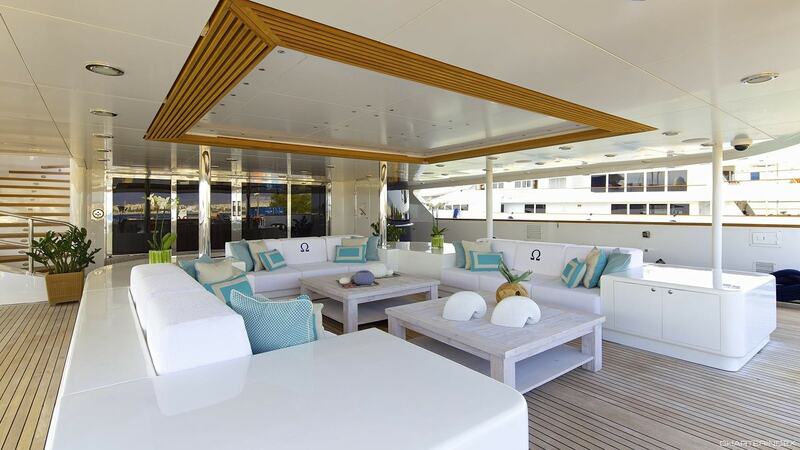 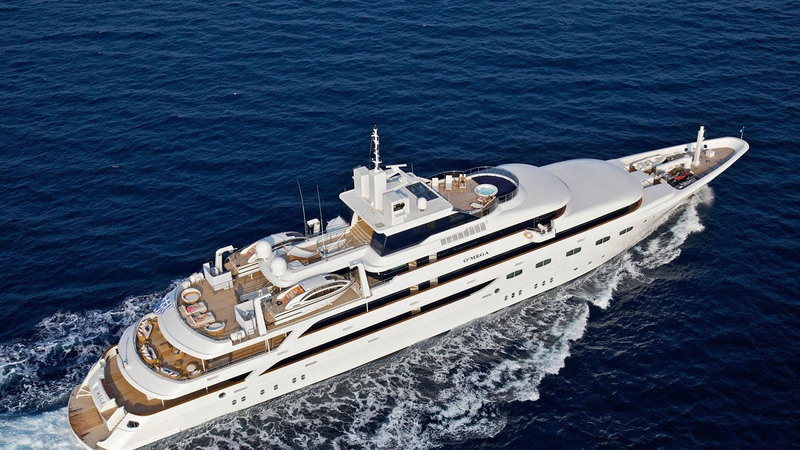 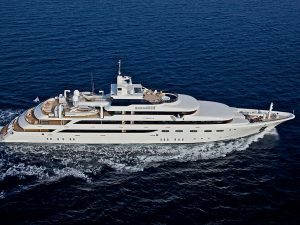 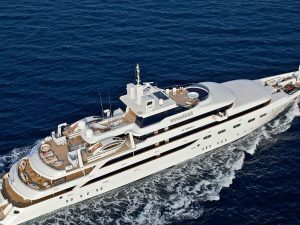 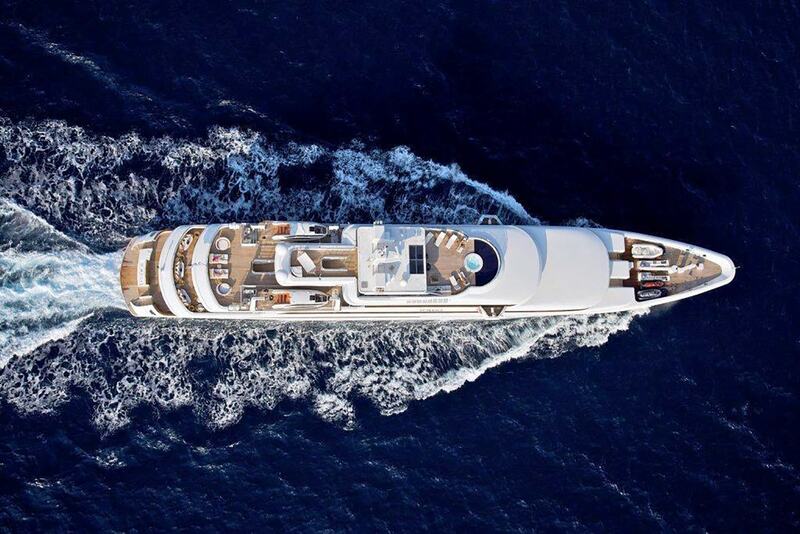 M/Y O’MEGA is the perfect choice for a charter luxury and unique experinece.